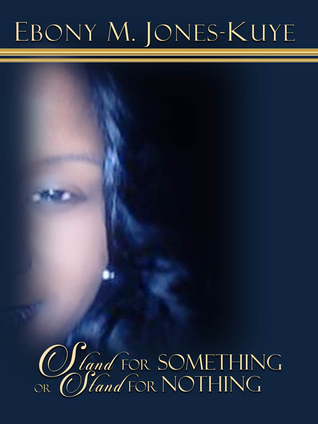 July 2015 – "Stand For Something or Stand for Nothing"
Get My 5-Star Amazon Goodreads Book Giveaway! I was reading today about President Obama giving a tough speech to the African Union today about African leaders needing to step down when their terms end. President Obama went on to say that stepping down would help the democratic progress in Africa. This was the first-ever address given by a United States President. He stressed the fact that Africa needs to end their cancer of corruption. He said that he doesn’t understand why the African leaders won’t step down. He went on to say that he loves being President but he can no longer run for a third term due to the laws and the United States constitution. President Obama said that the cancer of corruption is hurting Africa’s economic growth. President Obama stressed that America is a solid security partner that would stand by Africa in dealing with terrorism and end conflict. He said that as Africa is standing against terror and conflict, the United States is standing with you in the fight! Everyone at the African Union address gave President Obama a standing ovation after his speech which touch so many issues that are happening in Africa. I agree that corruption is huge in certain parts of Africa and leaders of these countries need to be held accountable for their actions. A United States President can stay in their position for 8 years which is a lot to some folks! I don’t think the United States should enforce their beliefs on another country when it comes to presidency terms or running their country. However, I do believe that Africa could be a really strong continent if the corruption stopped and the leaders invested in building businesses to help grow employment and opportunities. Africa has some really intelligent people within the continent and I would like to see them not be so dependent on the United States and Europe because they have the resources to be a strong continent. Africa needs to build its own infrastructure, build its own cures to Ebola, Malaria, and other diseases because they have brilliant scientists, doctors, and researchers. Africa has so many resources which is why America, China, and Europe are building and investing in Africa businesses now. I love the continent of Africa and I see hope there! The people of Africa want to see higher employment, economic growth, and more business opportunities in their country because they typically don’t want to leave their homeland but they have no choice due to the corruption within the government. It’s time for the people of Africa to take a stand and demand better from their leaders. Almost all of Africa is free from British rule and some have been independent for over 40 years yet they are struggling due to heavy corruption, terrorism, and poverty which shouldn’t happen in a rich continent like Africa. I came across an article by AnswersAfrica that list ten problems with Africa which I truly believe is impacting the continent. I am attaching the article for your review. Let me know your thoughts on the motherland and President Obama speech to the African Union. MTV will air a documentary called “White People” on Wednesday, July 22 at 8 PDT/7 pm CST which will focus on race and “White Privilege” in the United States. “White People” is produced by Pulitzer Prize winning journalist Jose Antonio Vargas. Jose went around various states to talk to White young adults and teenagers. “White People” is part of a huge MTV campaign called “Look Different!” Looking at the previews and clips of the show, it appears Jose is really trying to dig into what it means to be white, male, straight, and privilege due to the automatic birthright that you get being the so-called right skin color. The White young people in the documentary carry different viewpoints when asked about what it means to be White in the United States. One young lady in a clip said, “being White is like you own this country”. This documentary comes across very real and not “staged” like some shows that are trying to discuss race in this country. I am looking forward to sitting down and watching this documentary. I am not a huge fan of MTV but I support any program that is trying to address racism in this country especially with our youth and young adults. I think it’s critical that we address racism and the reasons behind it. I am hoping that the show don’t make people feel guilty about being born White but to understand the privilege behind that skin color. I hope this documentary makes White people see why they are automatically privilege, why people of color (i.e. African-American, Latino, Asian,Indian) receive scholarships, why minorities have to work really hard to be accepted in this country, why we have the EEOC, and why it’s critical to understand the “Silver Spoon” that White people are automatically given at birth. Sure there are Whites that are born poor. However, even being a White poor male or female sometimes gets you better treatment than being an educated African-American in this country. As an African-American woman who has lived in Los Angeles, CA for majority of my life, I have seen what white privilege does for someone who is not a minority. I have seen the way the police treats a White American woman versus the way I get treated, getting an apartment or buying a house is harder to obtain in a decent neighborhood because of my skin color, people assuming that you are a single mother when you discuss your child, and trying to get a job within Corporate America is like a pre-screening for the FBI because you have to get checked out even more than your White counterparts. I have been told so many times that I talk very well or very articulate. I have never heard a White person tell another White person that they talk very well or very articulate. I have had to prove myself for many years within Corporate America by taking on more projects, taking shorter lunch breaks, getting paid lower than my White peers for the same position, and stay late at work until everyone leaves so I won’t be judged for being the first to leave. I love being African-American but there is a fine line in the way you have to carry yourself in the workplace even by the way you wear your hair, nails, and the way to say things. Being African-American is beautiful and stressful at the same time. I am one person that encourage conversations on race to ease the tensions and to learn about each other if we really want to be “One America” down the line. We are not “One America” when people of color are getting beaten by law enforcement on a daily basis, getting killed, looked down upon everyday, not equally paid compared to their White counterparts, and getting judged before even talking. I am tired of being divided, being treated as a second class citizen, and getting emotionally drained due to seeing so much hate in the world for being a different race in this country. I will watch “White People” Wednesday evening and give my feedback on the documentary. I am encouraging everyone to watch this show with an open ear and try to understand everyone in the documentary even if you don’t agree. I want to one day create a town hall meeting where every race can come and learn to appreciate our differences. United States is supposed to be a “melting pot!” United States would be really boring if we were all the same race! Please share your thoughts on MTV “White People”. Also, let me know your thoughts on racism in the United States or your experience with racism.